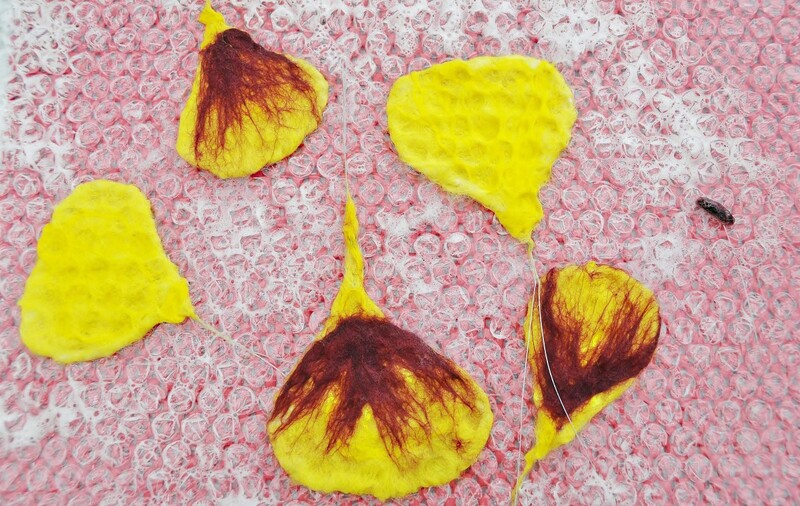 This step by step felting tutorial takes you through the steps of making a felt flower using silver beading wire to help support the petals and stems. 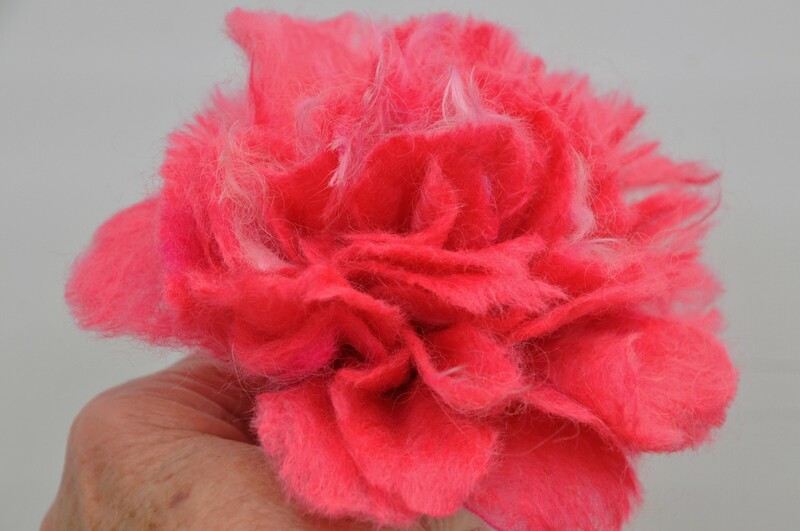 This pretty flower can be used on it's own in a bud vase or used on a garment or as decoration for a felted hat. 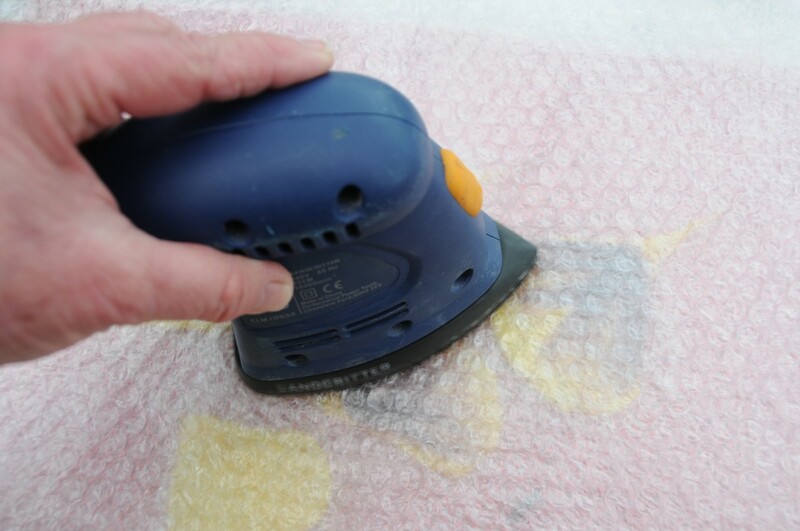 A sander can be utilized to aid the felting process or alternatively the project can be rolled as usual between a sheet or bubble wrap or between a bamboo mat. My preferred method is to use a bamboo mat. A Sheet of thick plastic if using a sander. A palm sander (optional) This may be substituted with a bamboo blind or bubble wrap. Enlarge the image if required by simply increasing the magnification of your computer screen. 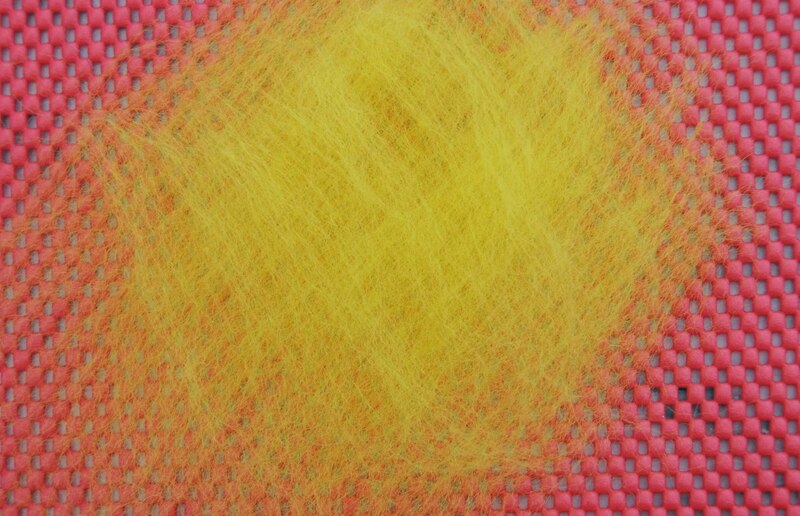 Use a soft tip felt pen to trace the image. 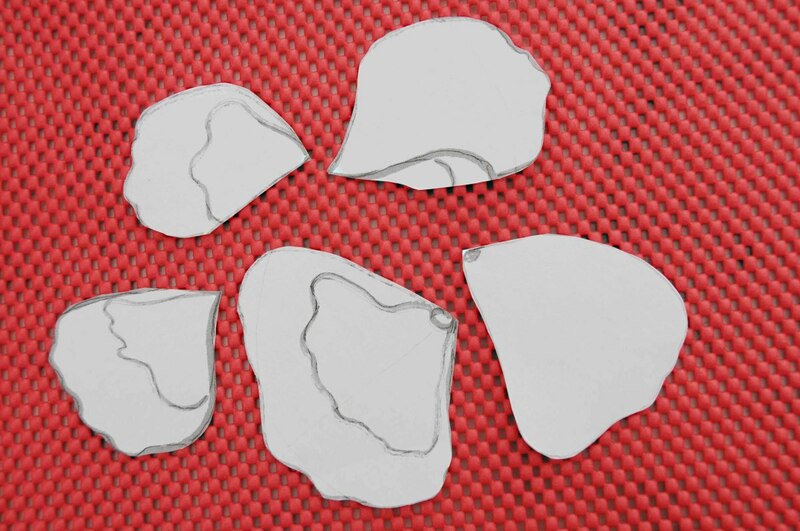 The cut out template will give you a very good indication of the size of the wire frames which will be needed for each petal. 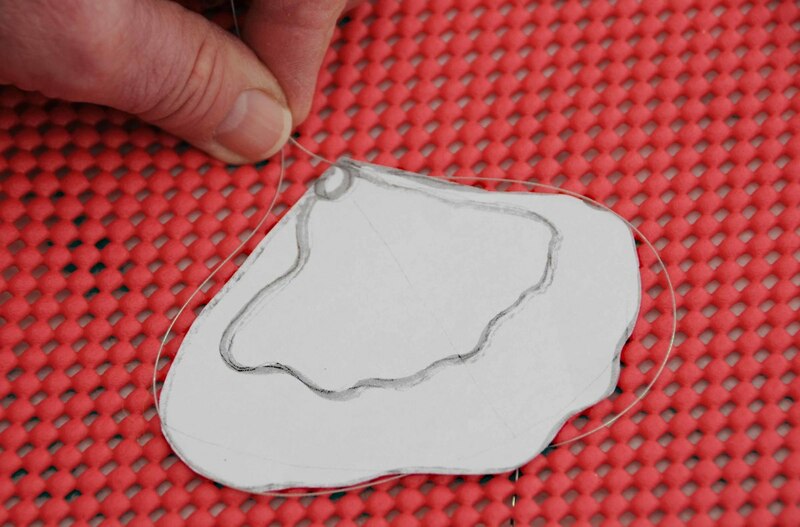 Once traced the template can be enlarged or made smaller using your printer. Most printers these days have this capability. Follow your individual Printer Manual Instructions to find out how to enlarge or reduce the size of the image or use the method described above to trace the image using a sheet of computer paper. 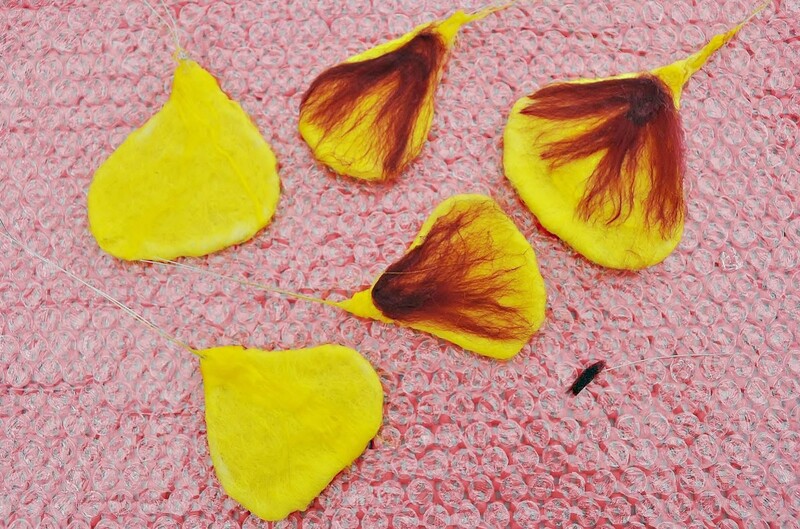 Cut out the individual Petals and enlarge those which are shown to be hiding one behind the another. Lengthen the short ones behind to make those the same size as the petals which are visible from the front. 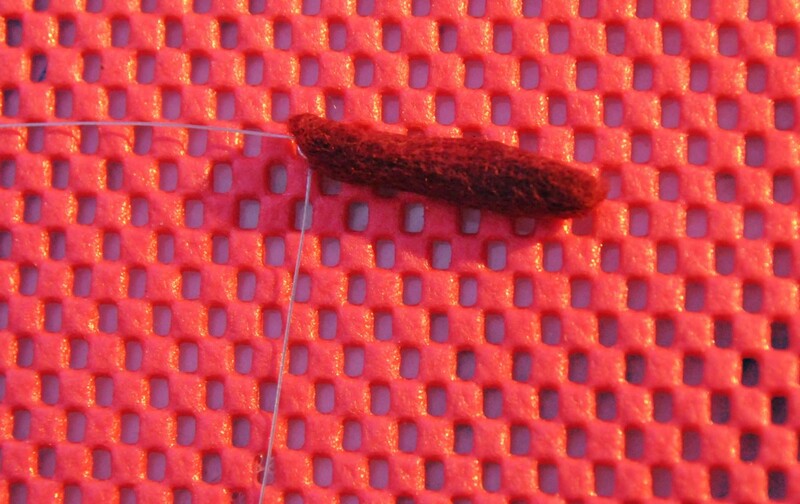 Lay the petal down onto a mat. 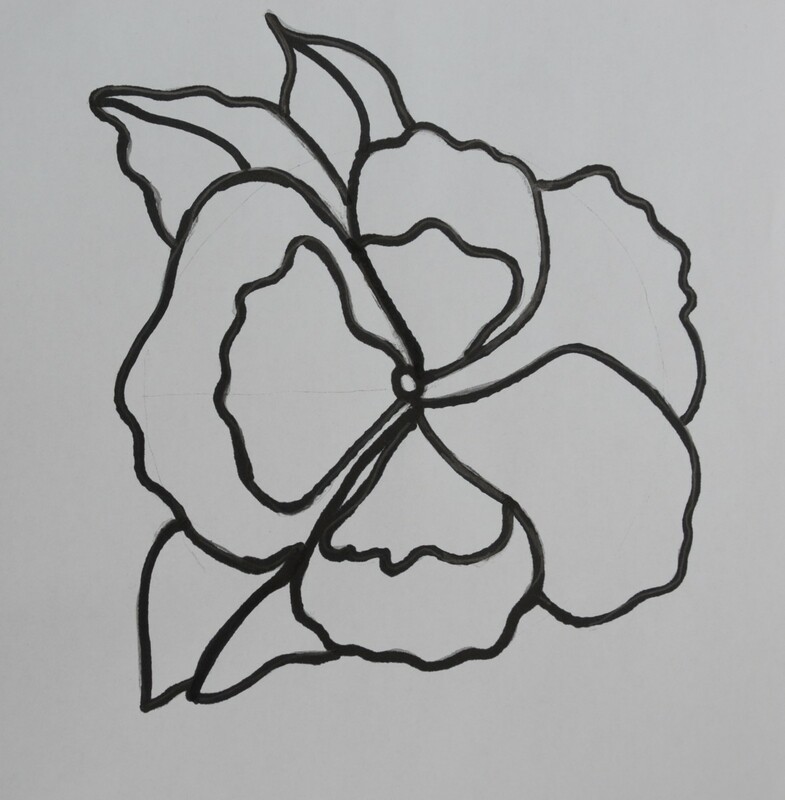 Trace the outline of the pansy using the soft wire. This should go right around the edges of the petals but leave a length on both sides which can be knotted as shown to form the stems of the flower. 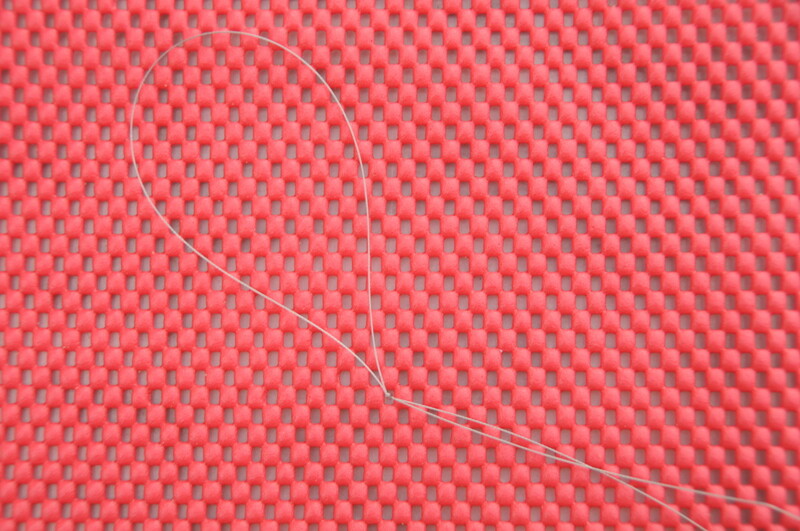 Knot the wire as shown below. Measure the length of the wire required to go around each petal. Add a couple of inches at the lower end to make the stem. Knot or twist the wire to form the shape of each Petal. 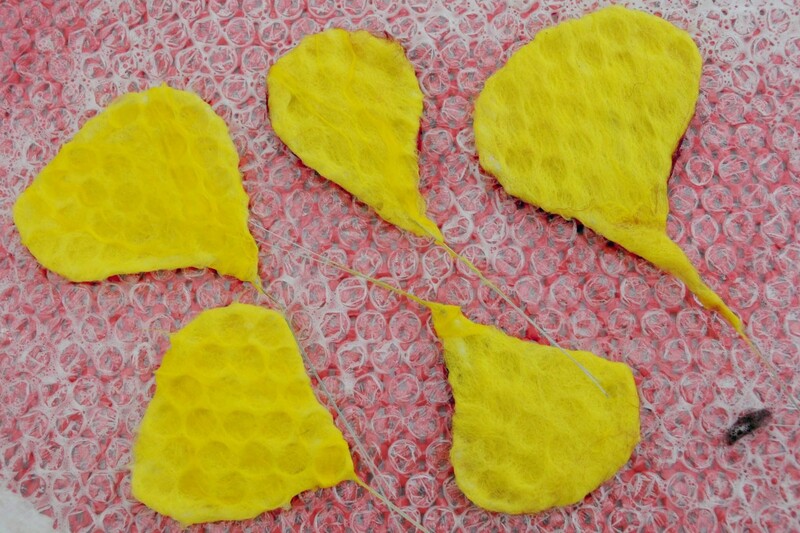 Cover the petal frames using wool roving. 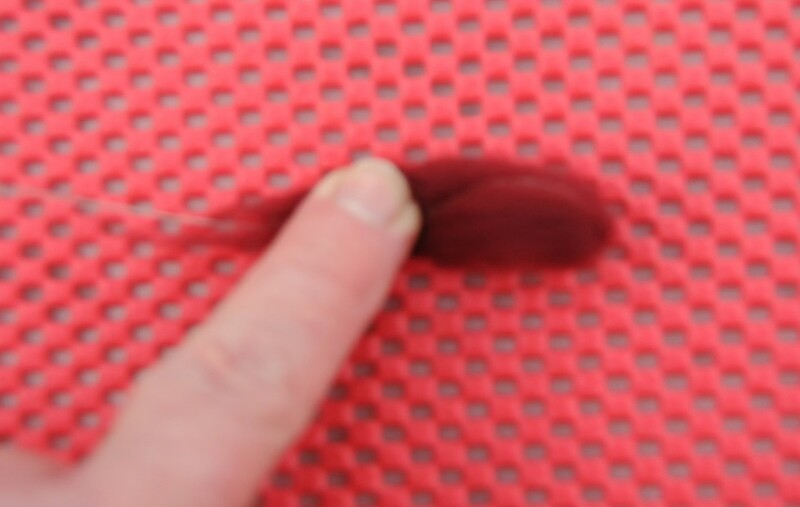 Pull thin long strands from the roving. 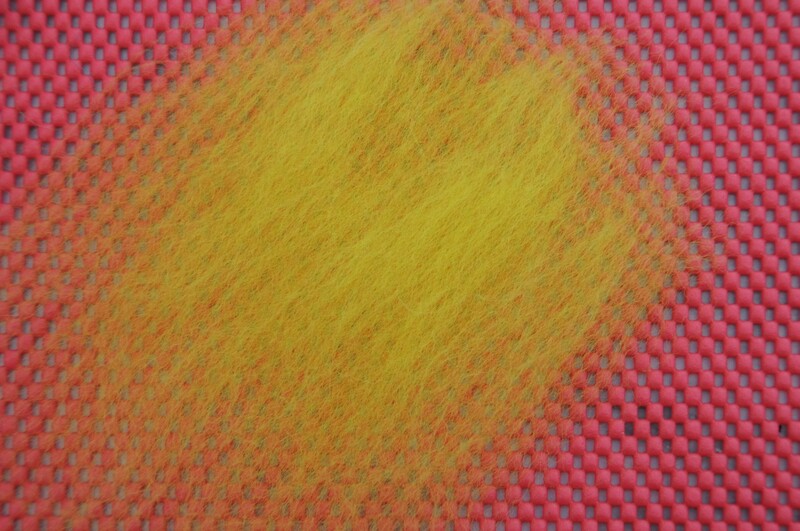 Split the fibres if they are too thick. Choose colours which replicate those of real Pansies. Study some of the beautiful images found all over the Internet. 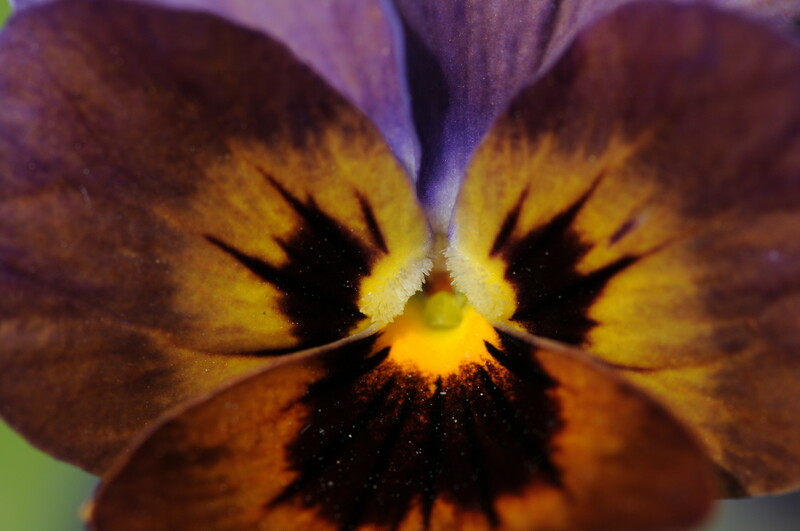 Generally, the two top petals at the top of the Pansy are almost always plain in colour though even this is variable, some pansies have petals in one colour with just a touch of yellow at the throat. 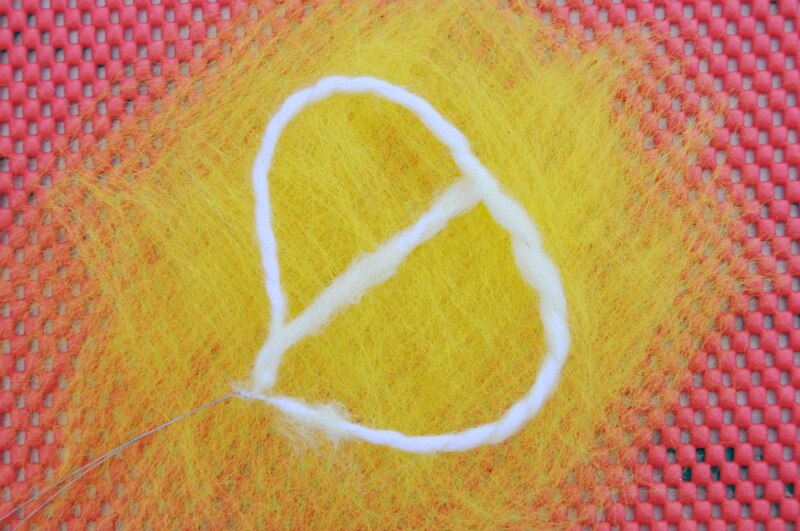 Cover the wire frame using a fine layer of wool roving. 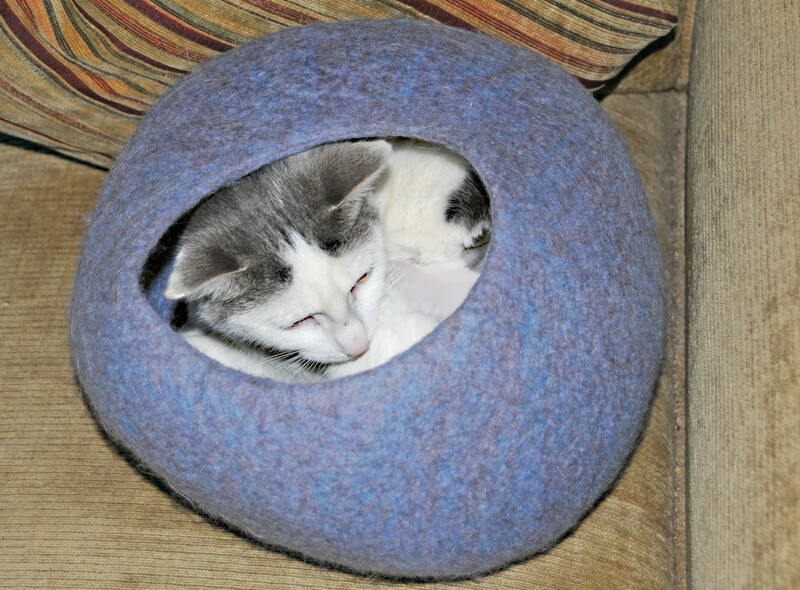 Cover the wire frame with a second layer of wool roving. This should be placed at 90 degrees to the 1st layer. If the wire is a little on the thin side, place a sliver of wool roving across the petal to help support the petal as is shown below. With the squeeze bottle filled with hot soapy water, drop some of the water into the center of the petal. 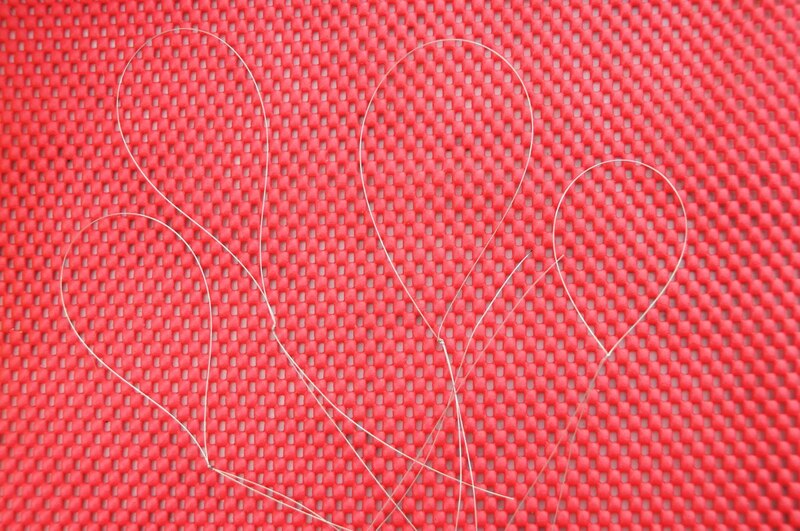 Wet the wool in the centre of the frame. It should be sufficient to wet all of the wool once the edges have been folded in. Use your fingers to fold in the dry edges to form a neat edge. 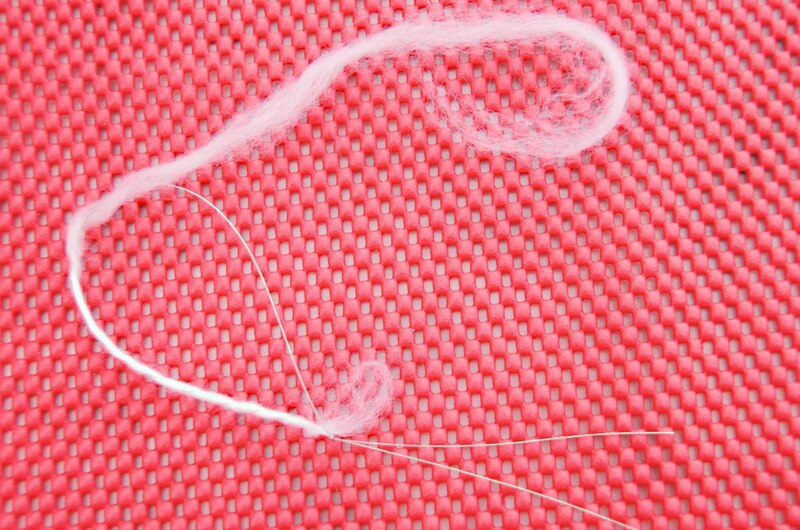 Below the wool fibres can be seen to be neatly folded around the metal frame. 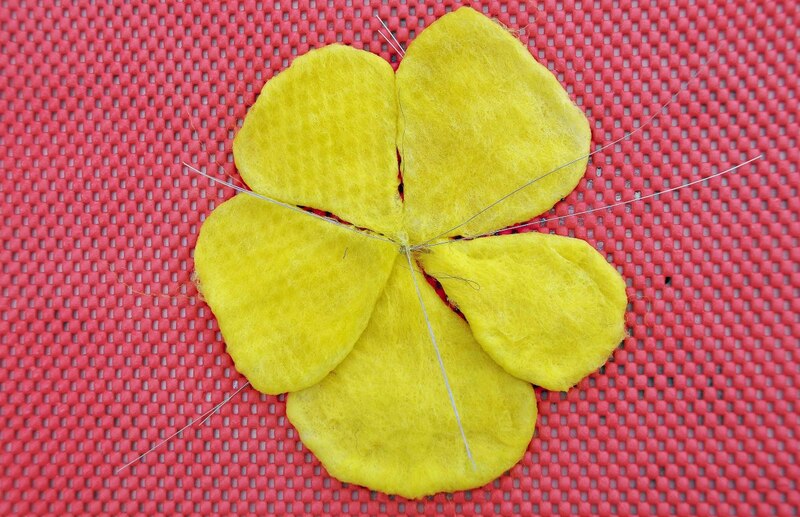 This image shows the five petals ready to have a decorative layer added to the surface of the wool. The top two petals were left blank. This is typical of many of the varieties of pansies though there are very many variations on this theme. 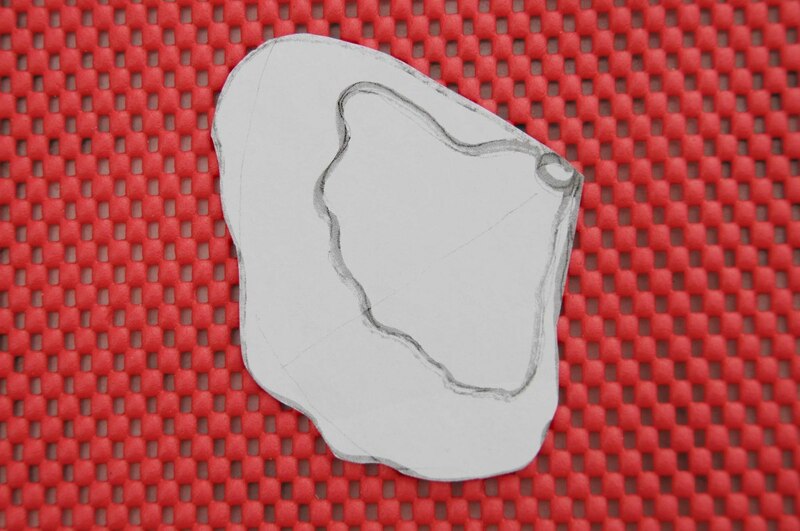 Use the silver wire to make the sepal in the same way as the petals were made. Wet the Sepal and roll on the mat. 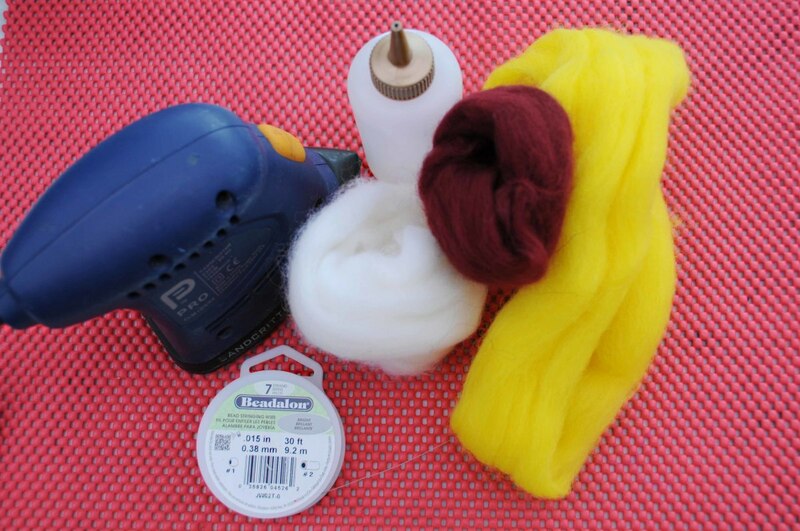 Roll the wet wool until it felts hard up against the metal. Add a little hot and cold water so as to quicken the shrinking process. Assemble the pieces together on a sheet of bubble wrap. Cover the assembled pieces with a thick sheet of plastic or a piece of bubble wrap. Sand well with a palm sander using all the safety instructions associated with using a sander near water. Alternatively, put the assembled pieces between a bamboo blind and roll well in all directions or cover with bubble wrap and rub well in the usual way. Cover with Bubble-Wrap, Bubbles Facing Down. Never allow the sander to come into contact with water and don't use a sander which has a dust bag. Follow safe practices when working with electricity near water. Wear rubber soled shoes and ensure that you had a safety trip meter or plug. 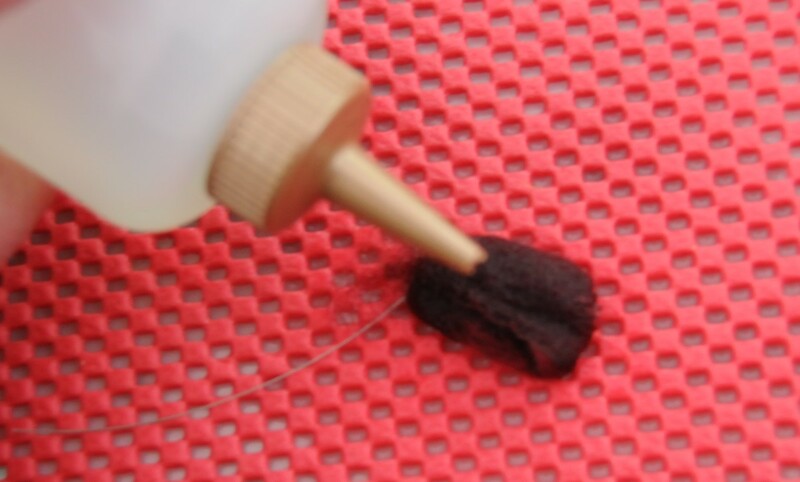 A Sander specifically designed to be used for wet felting is available through a sander without a dust bag can be modified as has mine been, with a mouse-pad and a thin piece of waterproof boarding to prevent any water from entering the sander. Use a thick sheet of plastic or even a child's play mat will suffice. Sand, rub or roll the items on both sides. Start by vibrating the petals for about three minutes on each side. Keep on changing the direction in which you roll the woollen fibres if using a bamboo mat or bubble wrap. Sand, rub or roll on both sides. 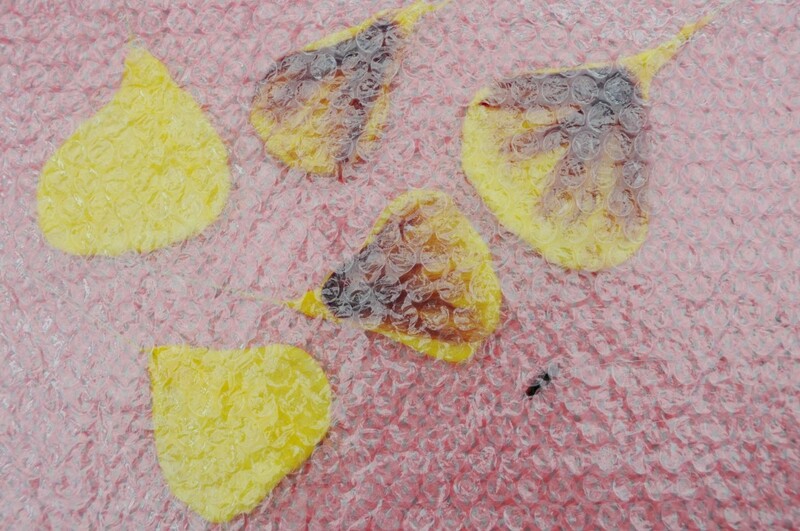 Dip the petals in hot and then cold water and add a little white vinegar to the final rinse water. Pat the petals dry and then assemble the pieces. 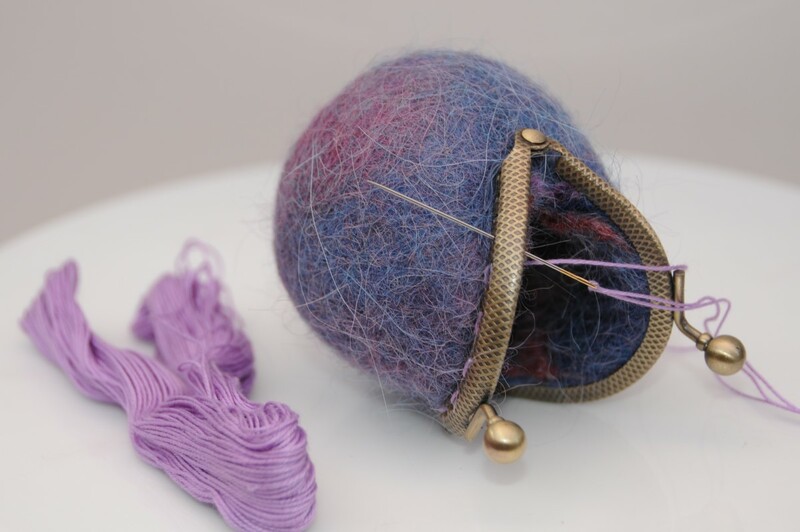 Twist the wires together and if desired cover the stems with thin layer green wool roving. 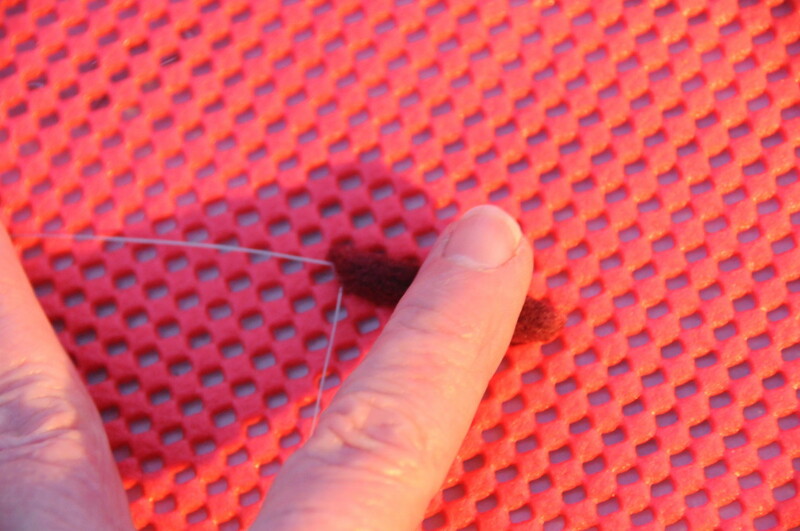 Rub and roll the stems until they shrink back against the wire. Assemble the petals with the sepal in the middle. Wires covered in Wool and then dipped into hot soapy water, rubbed until completely fulled. A Pansy amid signs of music. Some Interesting Facts about Pansies. Pansies are edible and fragrant. Pansies are single with five rounded petals. 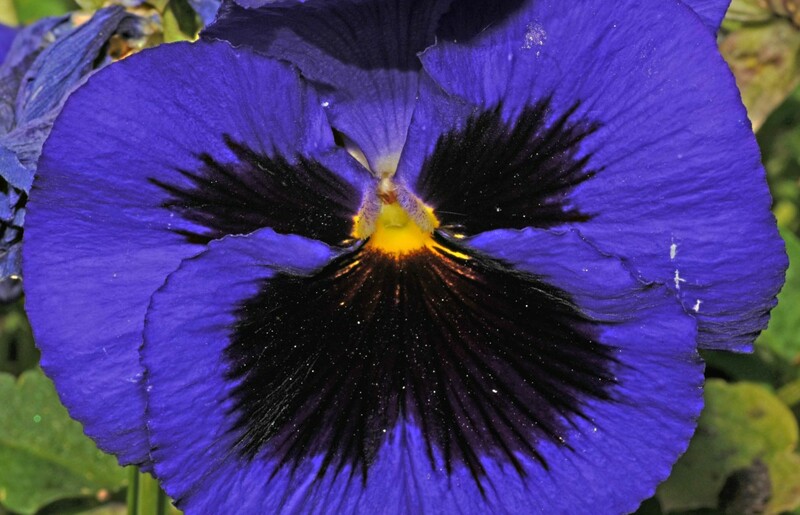 Blue and yellow pansies have the strongest perfume or scent. The flowers and the leaves are edible and are high in Vitamin A and C. They have a strong flavor and can be used to make syrup. They are used in salads and can flavor honey. 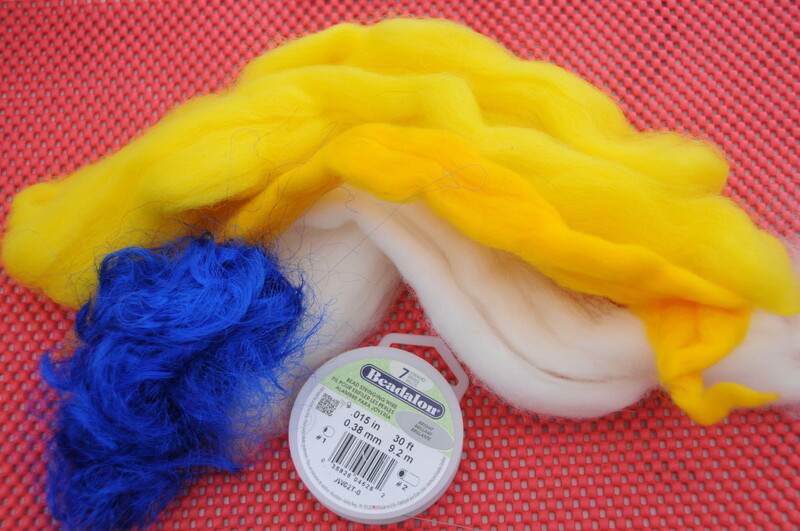 If there is one hobby you should try it is wet felting! It can be quite addictive:) I really appreciate the visit and hope that you will return to explore a little more. I really can recommend that your try the little coin purses made in a tumble dryer. I've avoided looking at your other craft tutorials because I really, really don't need another hobby but the finished product looks so cool I had to come and take a look at this one. 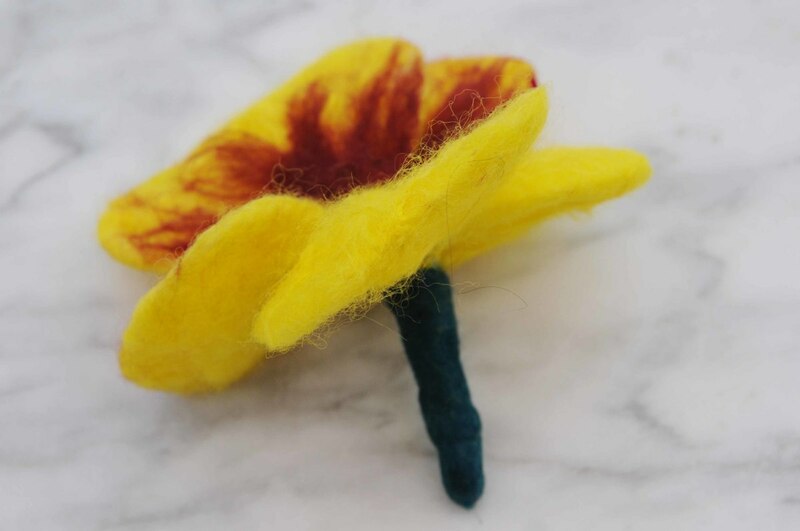 What an easy-to-follow set of step-by-step instructions for making felted pansies! The finished product is so cute. Congratulations on your hubpot win, well deserved. This article reminds me of the format used on the Instructables web site. Beautifully presented. voted up and awesome. So pleased that you enjoyed my tutorial. Start at the beginning with a very small project. I am about to publish a beginners Tutorial on how to make a rose. It is so very easy and the results are really lovely. I should post it later tonight. I am always happy to help if you have any questions. So beautiful Sally. I love pansies and this is just lovely. 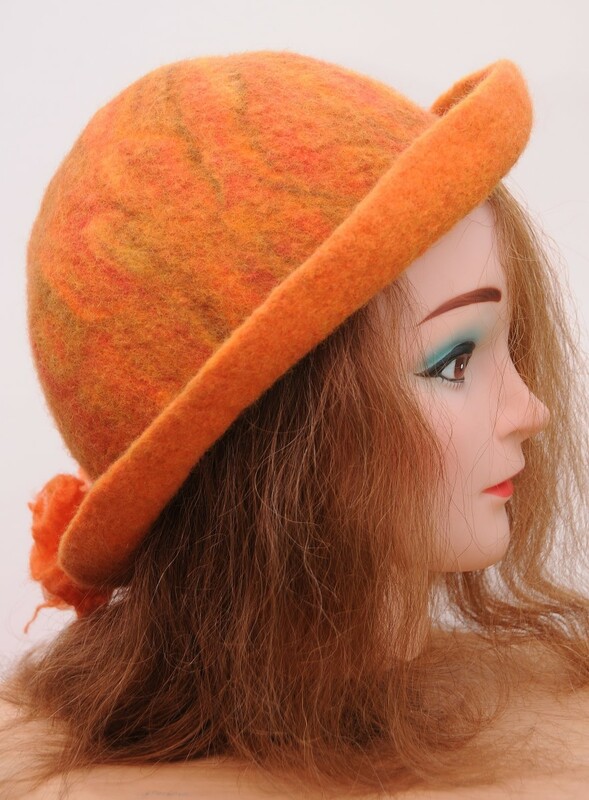 I really really need to try felting some time. Just not sure how to get started. Amazing detail on the instructions with great photos to go along with the directions. Beautiful and creative. I am delighted to have won with this Hub as I very much enjoyed creating the pansy. Thank you so much. An awesome creative hub!! The pansies are beautiful! Congratulations on the win! I imagine it is not but I am still delighted to have you grace my pages. Time for Mr Stickman or Mrs Stickman to do some wet felting. I imagine Mrs Stickman needs a new frock or a flower in her hair. Oh wow - amazing. Not really my thing, making flowers, but the work you put in and the pictures. That's really something else. Poor old Stickman is going to need a makeover with a steam iron. 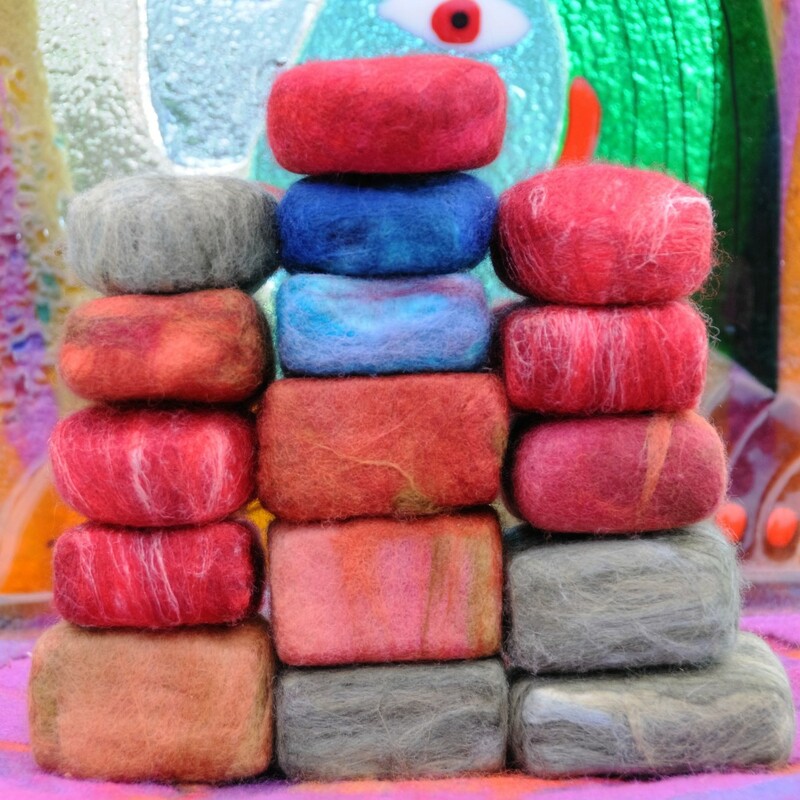 It is my pleasure to share the very enjoyable craft of Wet Felting with visitors to these pages. Thank you very much for your comment. Hi Sallybea, what an interesting hub! I love pansies, and love crafts, but never would have thought to create something like this! Thanks for sharing it, it is really unique. How nice is that! I did not realize I had won until you told me! Thank you very much for your comment too. Congrats, congrats on the win! Such a neat project with detailed instructions and neat info! 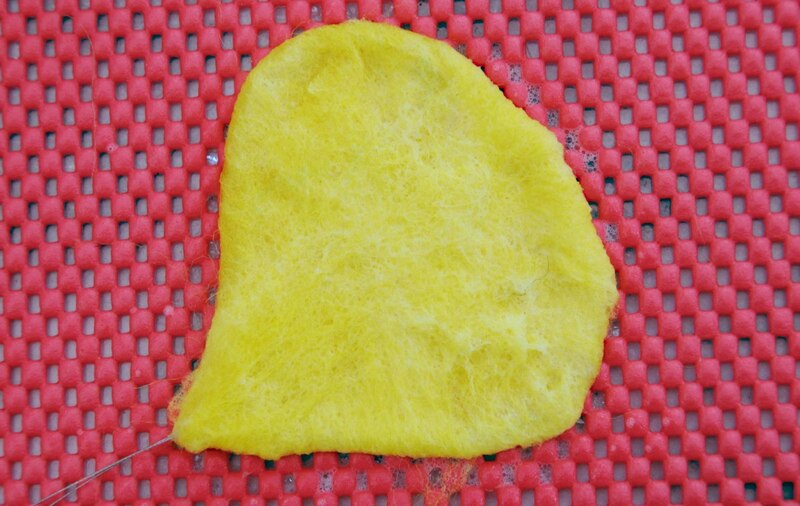 Thanks for the visit and the comment, glad I was able to teach you a little about felting. You too Sally. 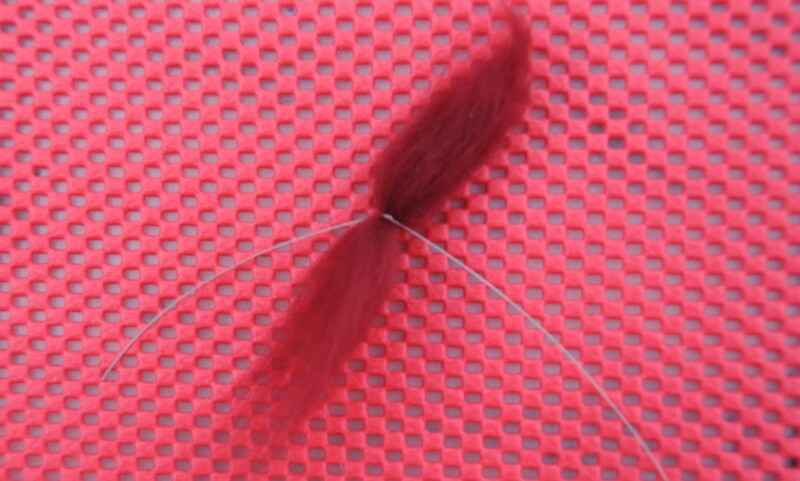 I suspect felting is one of those hobbies I will do later, like when the kids grow up. I really love your tutorials - keep up the good work! Rome was not built in one day! It takes time and patience to learn new skills and like you, I am still learning all the time. My problem is that I want to learn it all in one day. 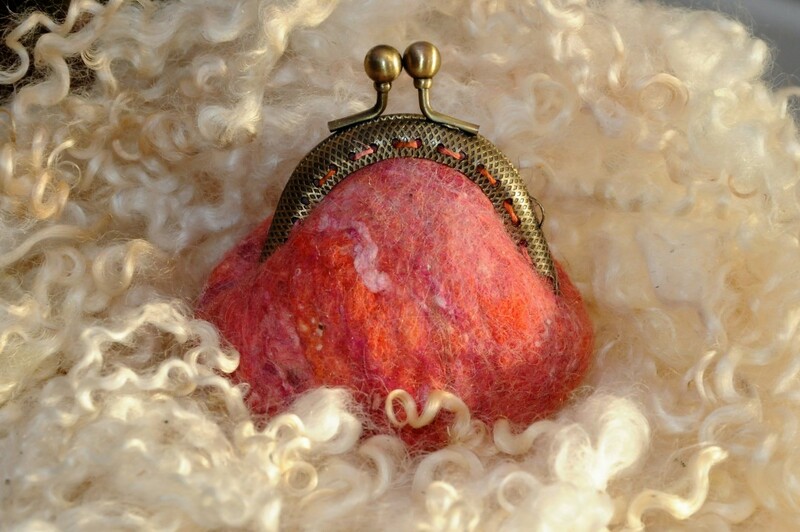 I look at wet felting as an evolving art form and I am always thinking of new ways to push myself a little further. Thanks for the pin and the vote up, I so appreciate your feedback. Absolutely stunning and while I can't wait to make one - I am still not the best felter around! Voted awesome, up and pinned! 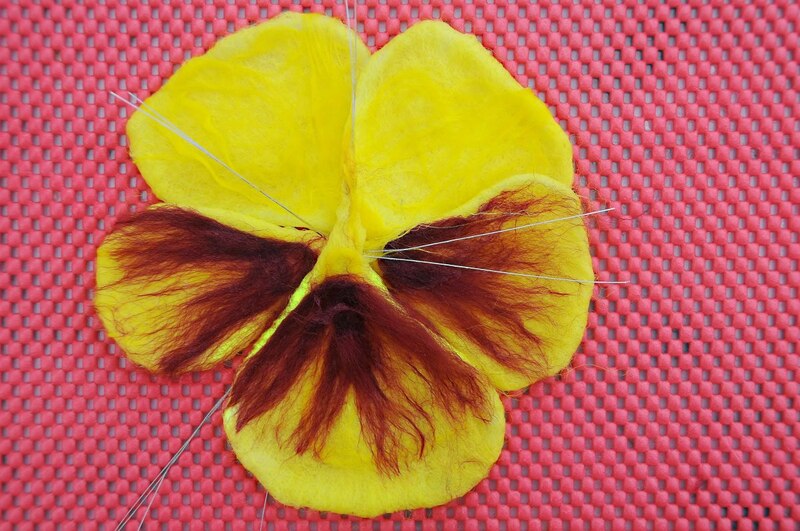 I am glad you were able to stop by and discover how to make a wet felted pansy with me. Careful though! This craft is addictive - once you start you won't be able to stop. 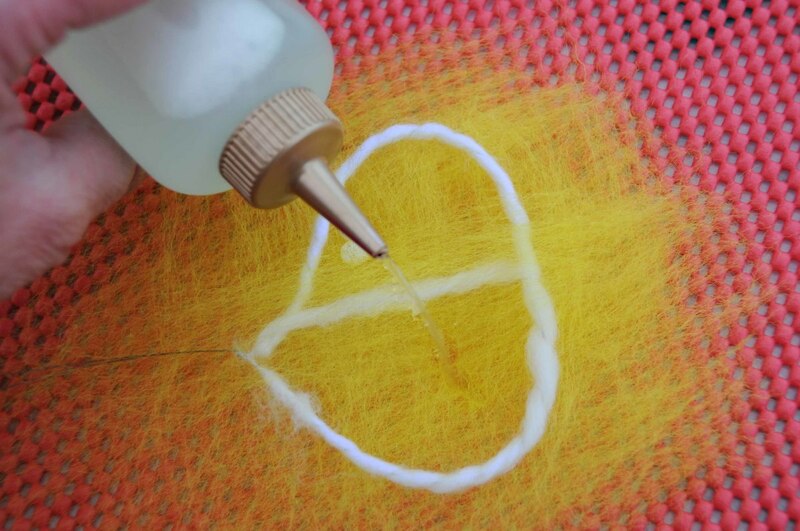 I always wondered how this felting stuff was done. Now I know! Gorgeous project and hub! How beautiful, Sally! I can imagine using this on a pin either alone or as part of a mini bouquet. You are definitely the diva of wet felting. The pleasure is all mine. 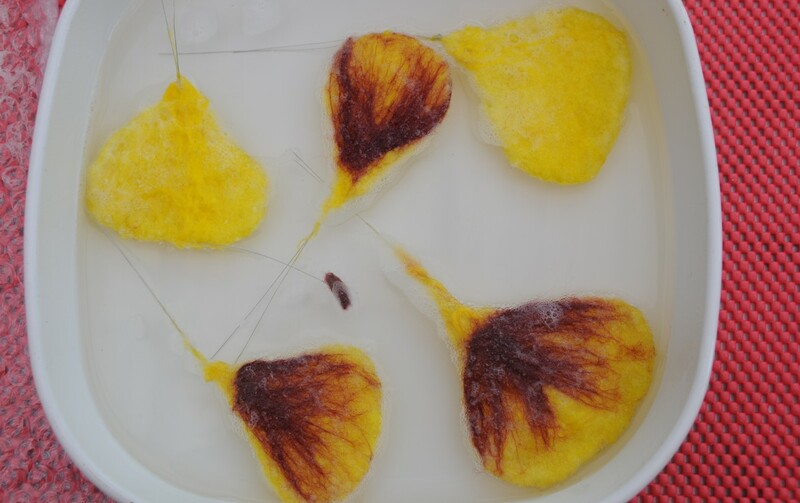 I am delighted you were able to visit and comment on my Wet Felting Pansy Tutorial. Thank you so much. Wow. You delivered one beautiful hub. I am not a handyman myself, but I loved seeing what can be done. Excellent! Thank you so much for the compliment and the vote up. I appreciate your taking the time to comment on this wet felting Tutorial. 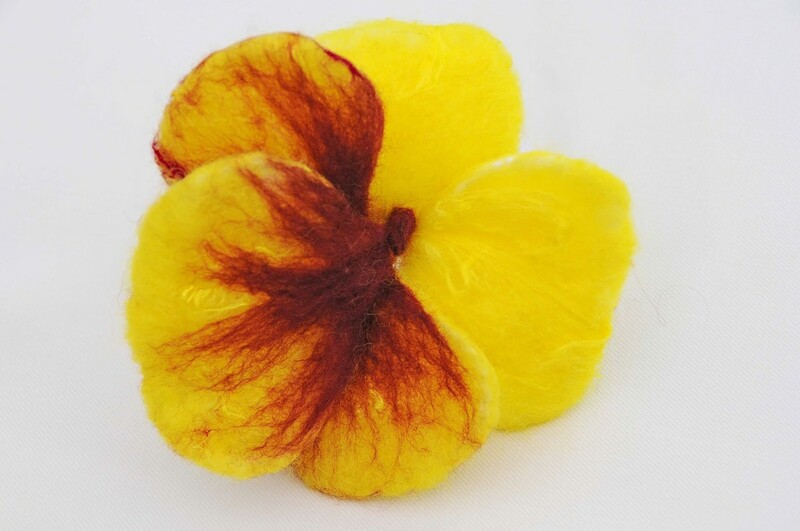 Sally, what a great looking wet-felted pansy. Almost looks like the real thing. This was a great hub, full of detail and step by step pics making it easy to follow. Well done. Voted up. 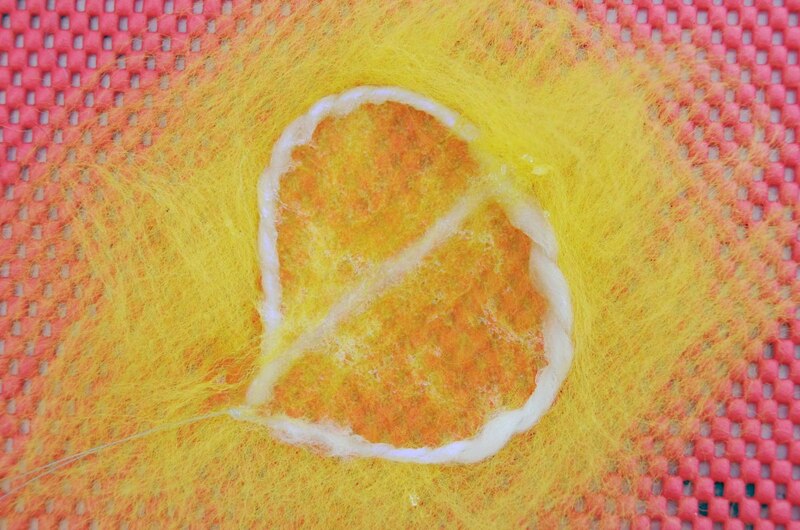 Wet Felting is a wonderful medium to work with. I do believe that it is craft which still evolving as we discover more ways to improve on the skills which have stood the test of time. Thank you for your continued support. It is much appreciated. The pansy looks so real. 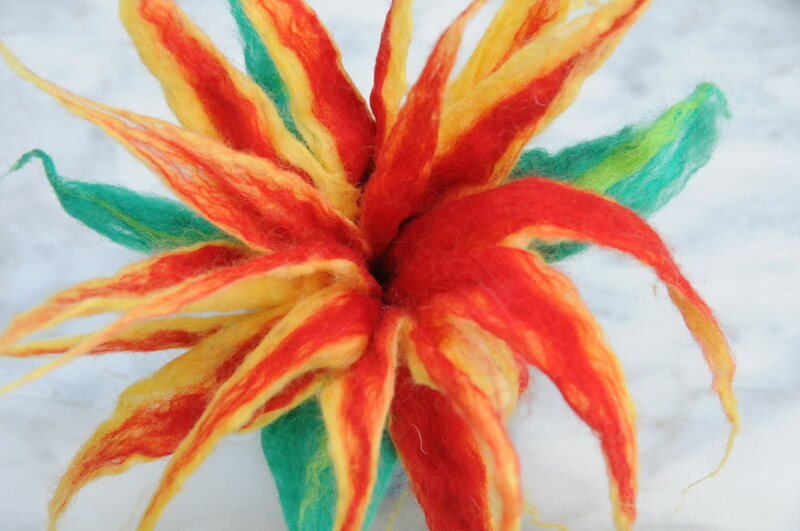 Great detailed instruction on how to make these beautiful flowers. This is such a creative art form. Thank you for the lovely comment, the vote up and your best wishes for a wonderful day. I hope you enjoy this project with the children. Don't forget to try my edible bread frog project with them too. I guarantee they will be a real hit with the children. What a wonderful hub sallybea and I am saving for a great project to enjoy not only with my grandkids but also on my own. Voted up and wishing you a wonderful day. I don't think you should feel any concern about the use of a sander especially if follow safe practices. Don't use one which has a dust bag. 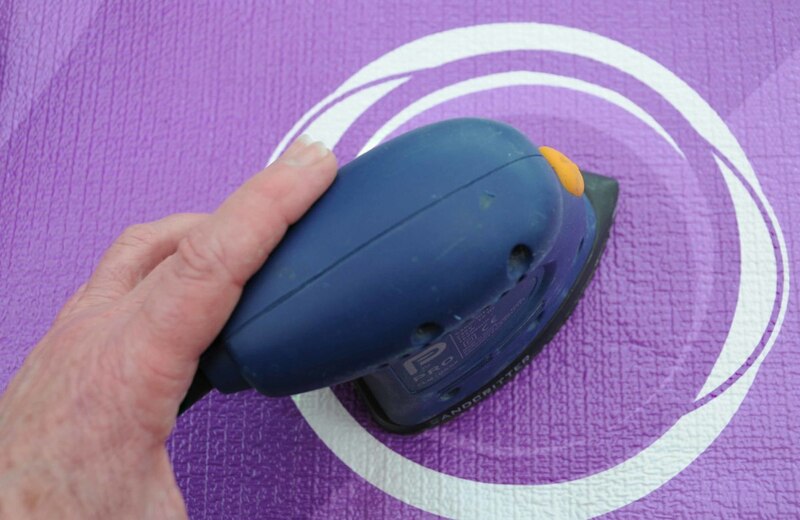 Place a thick plastic mat on top of the project and no water will come anywhere near the sander. The flower is a very small project, the perfect one for a first time project. 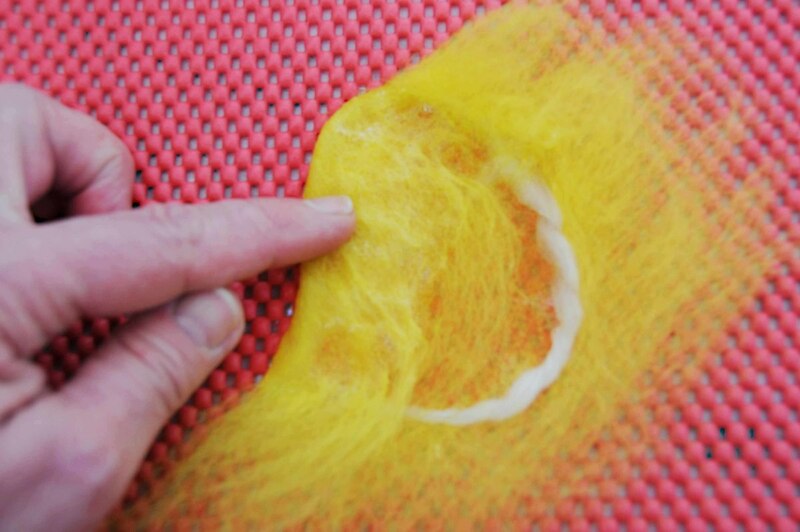 The conventional way of felting will work just as well with a little elbow grease will work just as well. I very much appreciate your visit, the vote, the pin and your continued support. 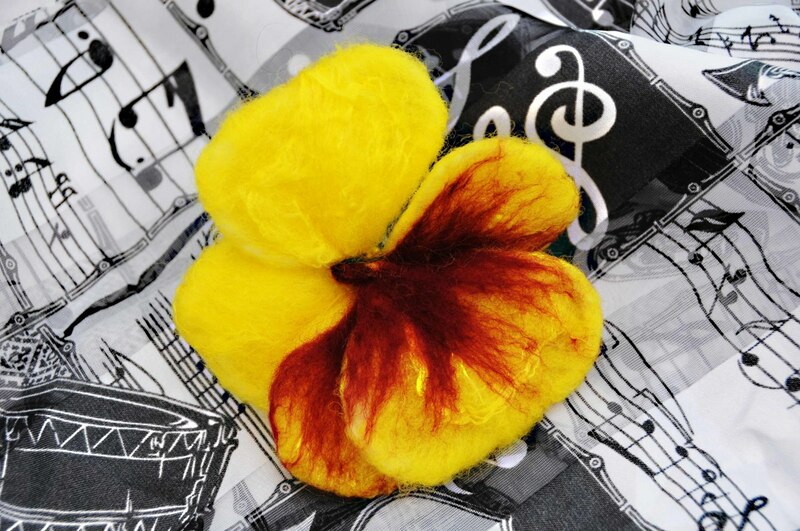 Happy that you found the Hub - wet felting a pansy useful and interesting. Thanks you for the vote up, I so appreciate your continued support. Such a pretty project and your directions are wonderful! 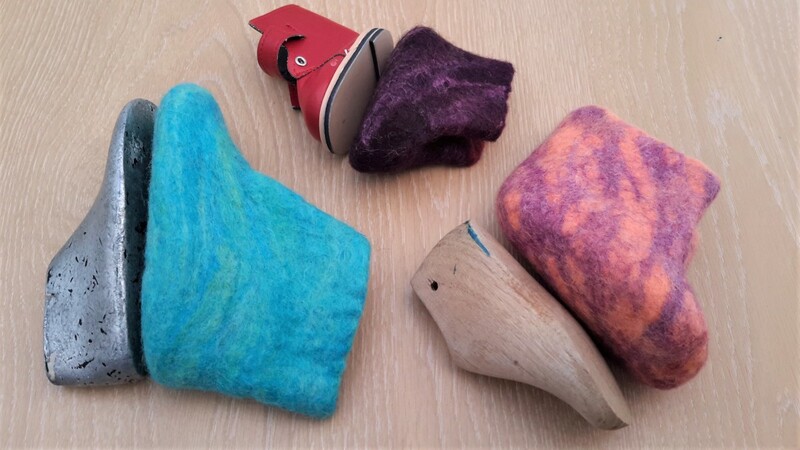 I'd be a little nervous using a sander (this is the kind of thing that always goes wrong when I try it), but it seems to work really well for felting - just amazing! Great hub. Voted up and pinned!! Beautiful Pansies with wire frame sounds a wonderful idea. Your creative mind keeps on surprising me. You summed it all so thoroughly. Informative and most useful indeed. Voted up, useful and interesting. 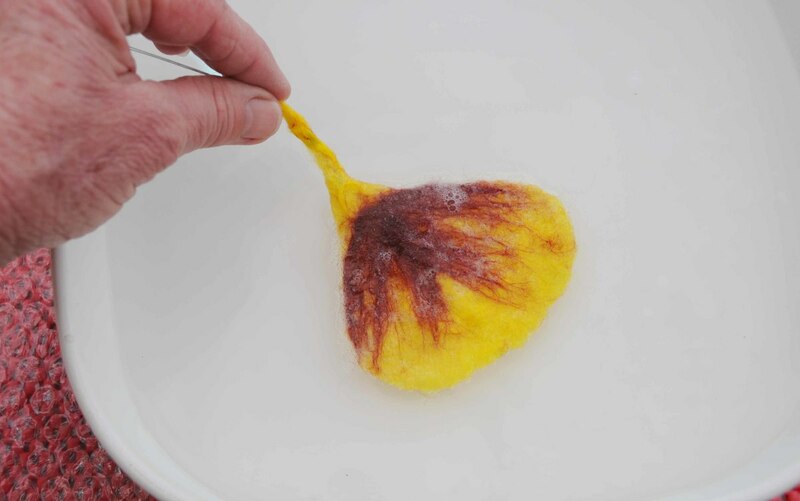 I am so pleased you enjoyed my wet felted Tutorial on how to make a pansy on a wire frame. I appreciate your visit as always. Your pansy looks so real. You are pro, Sally. Thank you for sharing your creativity and being so patient in outlining the steps in such detail. I love pansies and they are in full swing in the UK. How beautiful they are with their delicate faces which peer up at you. It does seem that the bees very much approve too. I watch them flitting in and out of the flowers and I wonder if they too enjoy the sweet taste as much as they I do their delicate little faces. Thank you for the pin and more. Pinterest is a great resource and it is Pins like yours which introduce others to hobbies like these. Thank you too for your constant support. I am delighted that you approve Billy. I do agree with you. I enjoy knowing that my traffic continues to grow along with my now increasing Hubs on Wet Felting. It is very nice to be able to share with people who love doing what I enjoy doing. I think it is a win, win situation. Thanks for your constant support. I very much appreciate every visit. 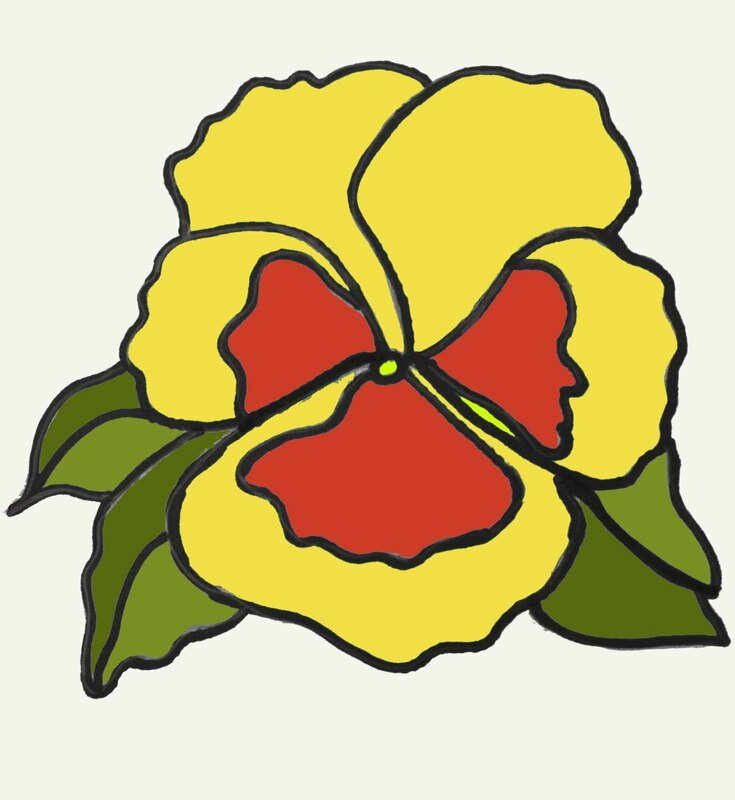 Oh, how beautiful and creative is this pansy project here! I love pansies, with their delicate beauty and variety of stunning colors. You have outdone yourself with this hub once again. Great instructions and fabulous photos. Wonderful job, Sally! This is the kind of niche writing I have been preaching for a long time on HP. It may not be a large percentage of the population that you are writing for, but those who do this type of craft work will find your articles every time they do an online search for felt crafts. Nice job!